Many students may not think mental math is important because they have access to a calculator just about everywhere thanks to their smartphone and tablet. However, being able to do mental math will come in very handy when they are required to take tests that don't allow calculators, such as the SAT. Help them develop their mental math skills this year with these tips. Most of us are familiar with speed drills thanks to those multiplication sheets we had to complete in a minute in elementary school. Have some of these types of worksheets handy at home and surprise your child with one every once in a while. You can also find websites with speed drills that require your child to race against the clock on the screen. Your child may not get excited by the thought of math games, but they can actually be a lot of fun. For example, take a stack of flashcards and write a number on each one. Shuffle them up and have your child pick one without looking. Next, give them one minute to write down as many equations as they can think of that lead to their number. 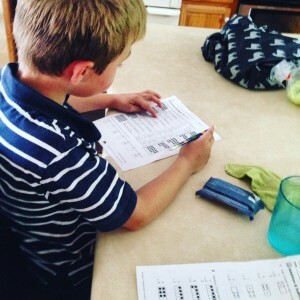 Memorization is the best way to learn certain math facts. Encourage your child to memorize basic information like their multiplication tables and basic squares and square roots. This will help them move through longer math problems that require this information much more efficiently. Whether your child needs help with mental math or higher level math, tutoring in Powder Springs, GA can help. Contact The Tutoring Center, Powder Springs GA for more information about their math tutoring programs. Call them at (770) 222-7133 to schedule your free diagnostic assessment.